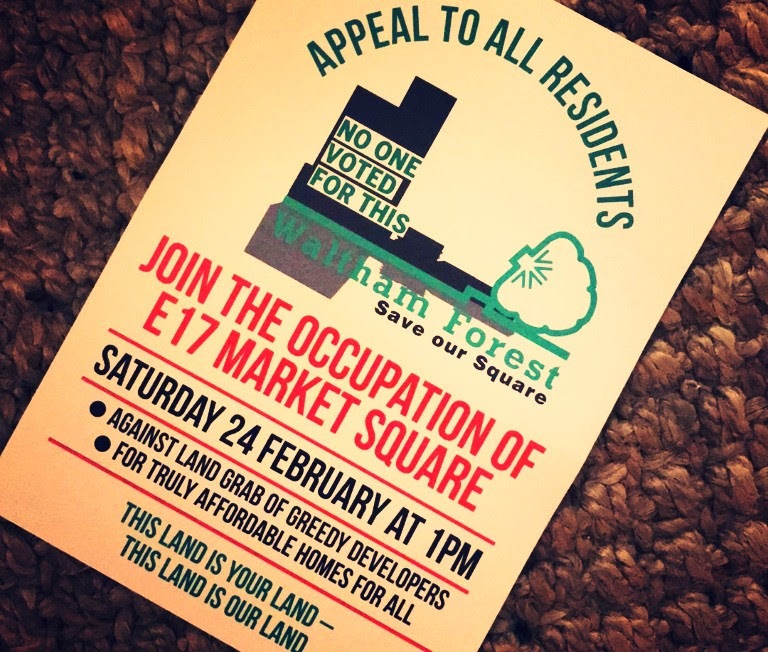 Here is the Facebook event for the Occupation – let’s do a last blast of everyone and every community page calling for Waltham Forest to unite against this undemocratic land grab. Another successful organising meeting of the campaign last night - including some media interest from student reporters. And the meeting was pleased to celebrate the victory secured by tenants and local campaigners at Fred Wigg and John Walsh towers. Again we started with the reports and a lot is being done with the response getting warmer, people especially responding to the idea opposing the developers’ land grab and more people indicating they're coming to the occupation. Those who went to see Sadiq Khan reported he has said he will follow up on the letters he’s received. The campaign is pursuing a meeting. He will have the opportunity to refuse this scheme permission so we must keep the pressure up. The campaign also agreed to prepare a submission to the mayor’s consultation. 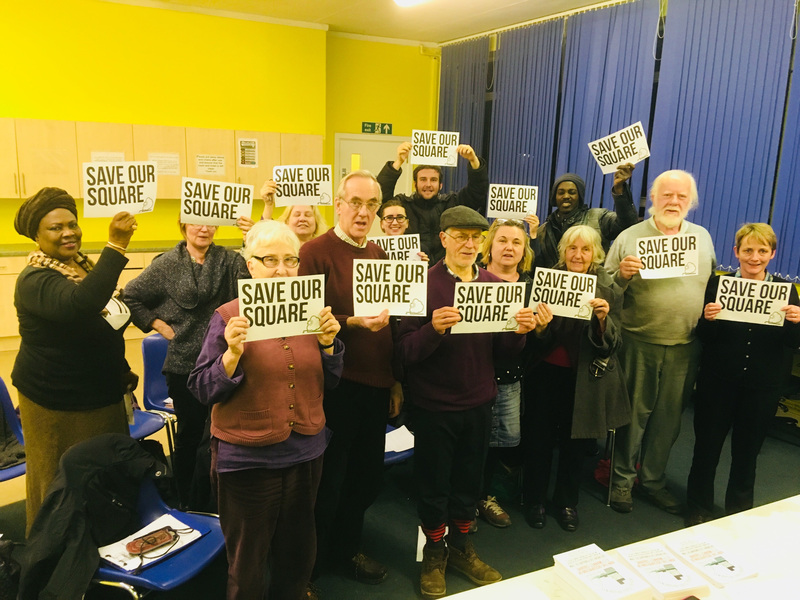 A Labour member reported that council leader Clare Coghill had been asked about the sale of public land to the developers Capital and Regional at a recent meeting and had said she didn’t know but would find out. Great news. It was reported from the Growth Scrutiny Committee held on Tuesday evening, that Labour Cllr Gerry Lyons asked a question, referring to the escalated costs of the Fred Wigg John Walsh Towers regeneration, about the possible repetition of this regarding the Mall development. It was expected that there would almost certainly be new building regulations brought in for high rise towers arising out of the Hackett Review about Grenfell. The Mall plans include high rise flats. The portfolio holder was not present, but a senior council officer responded by committing to give the information as soon as possible. Labour Councillor Saima Mahmood was also there. She made an impassioned contribution at the Planning Committee Hearing opposing the Mall application back in December. We hope all Labour members and councillors who oppose the Mall regeneration plan will join the Occupation on Saturday 24th in the Square. We agreed a plan for the day (weather forecast is for a dry day btw –but fingers crossed) which will start with some piped music, go on to the speeches, then we occupy the area they plan to build on. This will be followed by a march around the square and then we have all the festival activities that are planned, including music (but no amp) and children’s activities. A very impressive list of speakers has been drawn up including campaigners from Luton who are fighting the same developer, from Haringey where they are fighting a massive development that will destroy £2bn of council homes, and representatives from the street markets and many more. The artists will meet at 12 to mark out the trees for the chop and the part of the square under threat. This morning Walthamstow Central, Blackhorse Road and the bus station were done and some schools will be done in the afternoon. Letter to Stella Creasy: this was hand-delivered on Friday. This is here response. Letter to Labour councillors to request they oppose the development with a pledge to reverse the decision and push for an emergency meeting to reverse the decision. 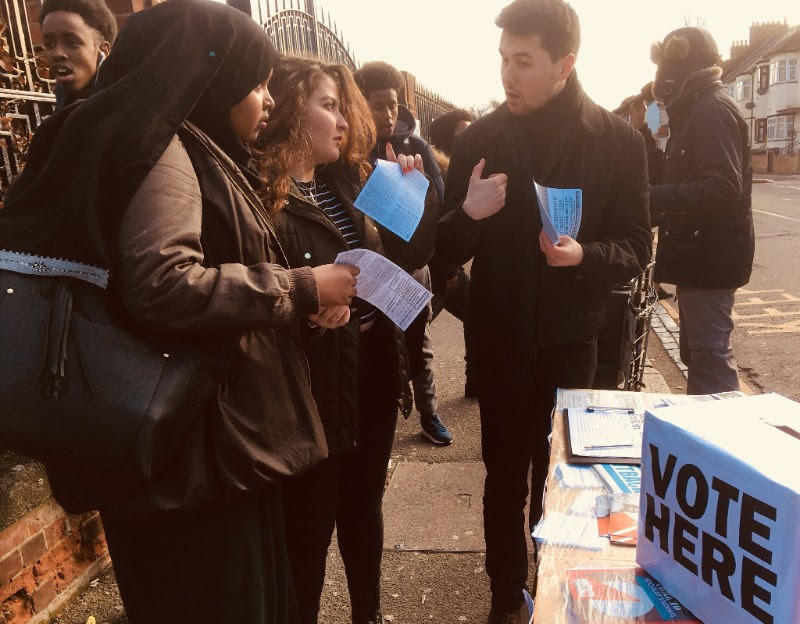 Campaigners balloted students at Leyton Sixth Form - and guess what? 95% want to see the council use its powers to build council homes not handing land to private developers!